First off, an indexed rotator allows you select how many degrees you can rotate the camera before a detent engages. This way, you can shoot the correct number of images and there will be the correct amount of overlap making the stitching in the software go smoothly. RRS makes a great degreed rotator, the PCL-1: Panning Clamp. And as with most of their gear, the design, machining, and finish are the best in the business. However, with my aging eyes and the fact that I’m often in light levels that are low, it became very difficult to see the very small degree marking. And, it is very error-prone process as you are aligning the rotation of each frame visually… in low light with aging eyes… not optimal. Years ago when I first shot panos (1999-2000; On film no less! 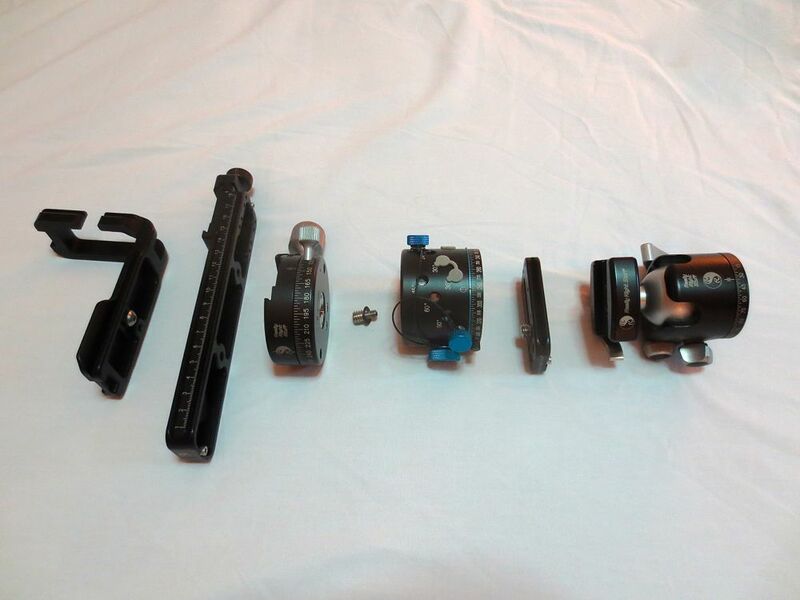 ), a company called Kaidan offered many different indexed camera mounting solutions. I had three or four of their setups. 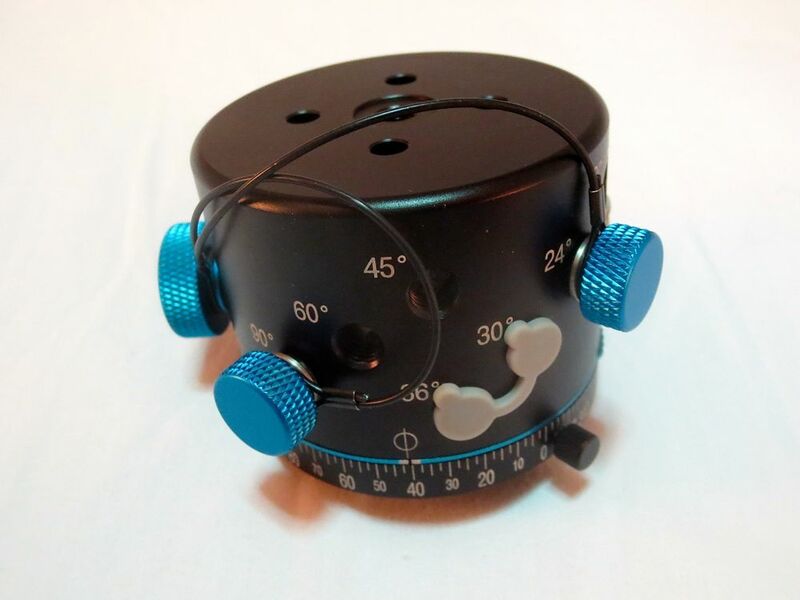 You would set your degree of rotation required and then focus on the image you were creating, rotating camera and feeling the click stops at the necessary index points. But RSS does not make a detent-indexed rotator. I’ve talked with them on several occasions and they’ve made proto-types, but nothing has gone into production. So, I started investigating options and came across Nodal Ninja’s (Fanotec’s) line of rotators, which are typically used with their own panoramic rigs. Their RD16 stood out immediately. It had the fineness of rotational incrementation that I desired and appeared to be designed well with good machining and a durable finish. It is also supplied with a number of silicon plugs, so that the detent holes one currently isn’t using can be plugged, keeping dirt and debris out of the mechanism. Nice touch. When the RD16 arrived I was happy to find that it is just what I was after. It doesn’t quite have the machining and finish qualities of RRS gear, but is close and mechanically feels excellent. Without further ado, here is each individual part and how they fit together. Exploded View Of The Individual Parts. 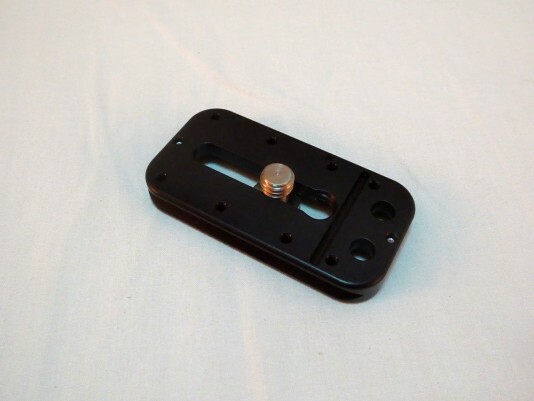 RRS MPR-73 3/8ths: 73mm MPR 3/8th Threaded Plate. Nodal Ninja RD16 Rotator. Gray Plugs Keep Dirt Out Of The Mechanism. 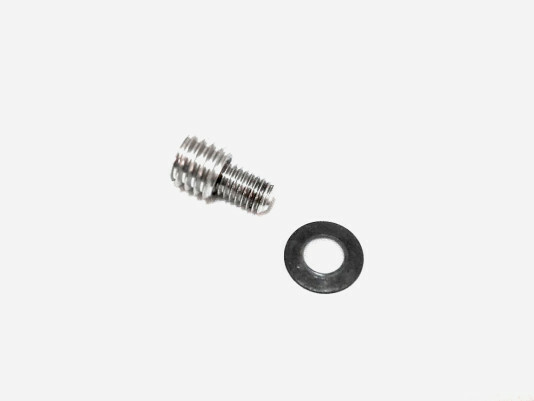 Nodal Ninja M6 male to 3/8-16 Male Thread Adapter. RRS PCL-1: Panning Clamp. Rotation On This Clamp Is Silky Smooth. Typical RRS. RRS MPR-CL II: MPR With Integral Clamp. AKA: A Rail. 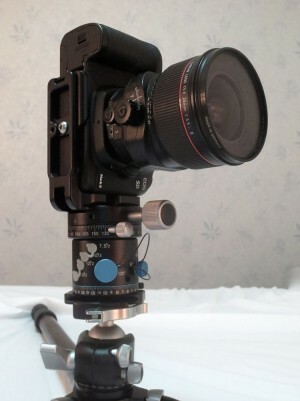 RRS B5D2-L: L-plate for Canon 5D Mark II. The RD16 has a 6mm threaded hole in the center of the top surface. It also has a recessed area around that hole for a lock washer. The washer is conical, and typically in this situation, the screw is tightened down onto the convex side. The recessed area is deeper than the washer is thick, so when it is all tightened, the washer is below the top surface of the rotator and will not interfere with whatever is screwed down onto the M6 to 3/8-16 Thread Adapter. In this case, the RRS PCL-1. Tighten it down securely, don’t be shy. Ready for the RRS MPR-73 Plate. Center the RRS MPR-73 Plate On The Base Of The Rotator And Tighten The 3/8-16 Screw Securely. Unit Installed Into Ballhead’s Clamp. Rail, L-Plate, And Camera Installed Into The Unit. What works great about this set-up, is that the tripod can be out of level, and you can correct for that with the ballhead. In the picture below, you can see that the tripod is considerably out of level, but the ballhead levels the rotator and PCL-1 clamp. The camera can be rotated 360° with either the RSS clamp or the rotator, and everything stays leveled. 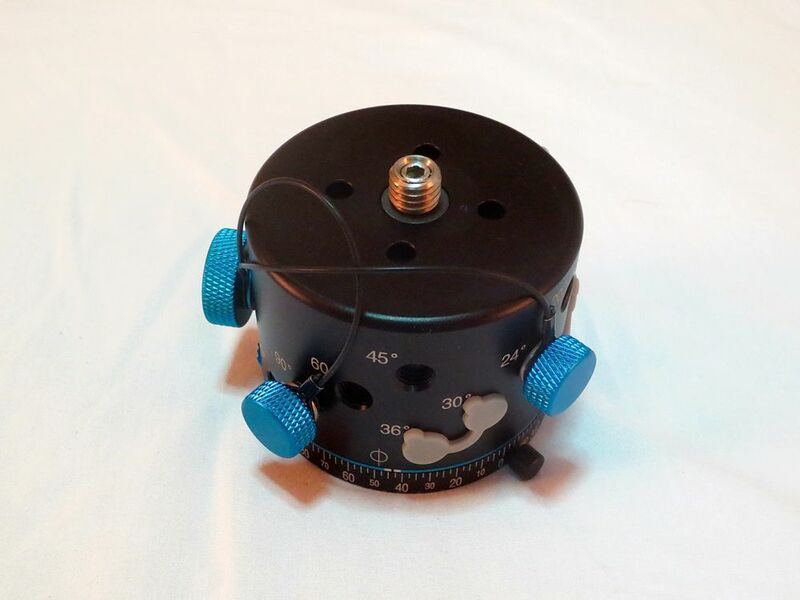 It is very fast in use: After leveling the Unit, I rotate the camera with the PCL-1 to my start positions, lock it, and then rotate the camera through the RD16’s detented positions. Any fine adjustments to the rotational position of the camera is easily done with the PCL-1. The Panoramic Unit Plus Rail. If you happen to want to take a non-panoramic shot, you just loosen the clamp on the rail, remove the camera, take out the Unit leaving the rail in place, and clamp the camera right back into the ballhead. Camera Mounted Directly Into Ballhead Clamp. 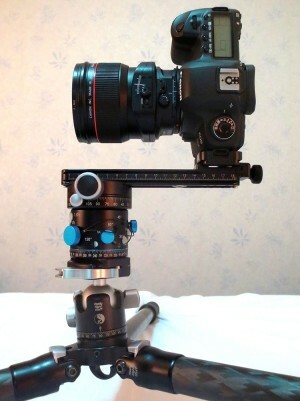 Or, if for some reason the camera has to stay level, just take out the rail and insert the camera back into the PCL-1. Camera Mounted Directly Into The Unit. Setting Up In Lumpini Park, Bangkok, Thailand. Night Pano, Gotta Love It. Canon 5D MkII, 45mm T/S Lens. The combination of Really Right Stuff’s quick release system and of Nodal Ninja’s RD16 rotator make for a very nice combination indeed. It’s rapidly set up out of the camera bag, is rock solid, and moves some of the focus paid on mechanical operation to the creative endeavor. And a vital point for me personally is customer support. RRS has it in spades. They have always been fast and accurate with technical information that I’ve inquired about. I can only think of one time I’ve had a problem with a piece of their gear (a defective L-Plate screw) and that was resolved with a new screw shipped that day, no waiting, solve the problem now. That’s what I’m really paying for. I’ve only interacted with Nodal Ninja’s customer service once, but likewise, it was fast and accurate. For me that counts a great deal. If you are looking for good panoramic equipment, I can recommend both of these companies enthusiastically. Note: This kit list is for a Canon 5D MkII camera. The L-Plate and possibly the MPR Rail will be different if you use a different Canon or a Nikon, etc., camera. Disclaimer: I’m not associated with either of these companies, other than as a satisfied user. All trademarks, product names, and company names and logos appearing on jonwitsell.com are the property of their respective owners. Please subscribe to my blog posts (Uppermost right corner of this blog; Your email will kept in strict confidence. ), Like Me and visit my store on Facebook, Google + me, add me to your favorite social media sites (Links above right, under Spread it! ), and feel free to forward this page to anyone you might know that would be interested. If you have any questions, comments, criticisms, feel free to contact me in the comment section below (preferable) or send me an email here. This entry was posted in Panoramic Photography, Technical and tagged Nodal Ninja, Panoramic, Really Right Stuff, RSS. Why do you need the PCL-1, why not just put a regular (aka cheaper and lighter) clamp there instead? 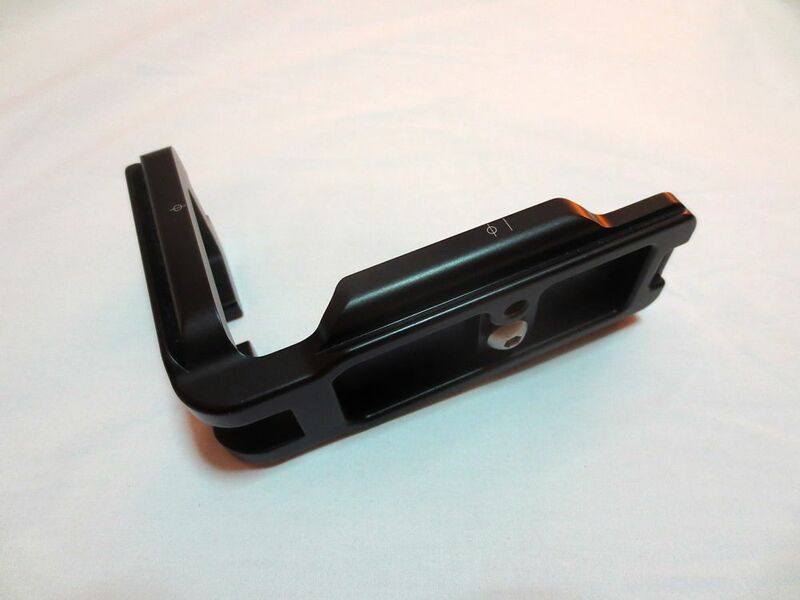 After all, all it does is to hold the MPR-rail, you’re not using the swiveling at all. Having a leveled free-moving rotator just makes using the set-up a dream. If I’m off a bit (in between detents), I can just rotate the camera rapidly with that. If I rotate at the base of the ballhead, I’m out of level. And, I already own the PCL-1, so it was just a matter of ordering the RD16 with the thread adapter. I’m really glad I did it this way. It is super fast and It just works. You are making too much trouble to achieve panning your camera. This will clear all of your hassle. No, Sunwayfoto is stealing RRS designs. So, I won’t support a company that makes inferior copies. And I’ve been making panoramas since 1999, long before Sunway was copying other companies designs. Some people just wanna act smart. I personally think this setup is fantastic for panoramas. I already had most of the RRS equipment with the exception of the MPR-73 plate, so all that I needed was the Nodal Ninja equipment and the MPR-73. I use either a RRS BH-55 ball head with a QR clamp, or an Acratech ball head with a RRS QR clamp, depending on which tripod I happen to be using at the moment. 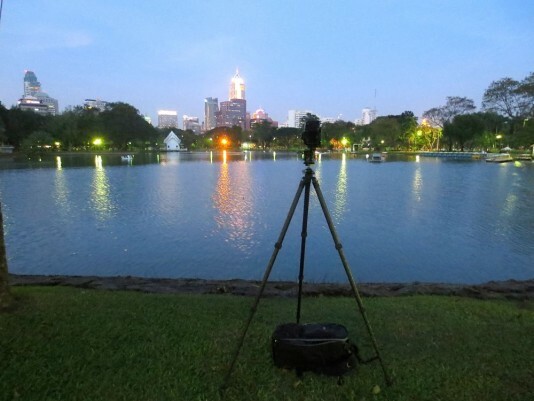 The set up that is described here makes shooting panoramas amazingly simple, as I don’t ever need to remove the tripod head, and don’t need a separate leveling base to get the rig leveled properly, not to mention that I can shoot at night without having to fuss with a flashlight to see the index settings. Thanks Jon for sharing this information…great job! Thank you for the kind words. Shooting with this set-up is a breeze isn’t it? And the fact that it is modular and lets you rapidly change set-ups is a real bonus. If you have time, would you mind sending me some snaps of your set-ups? It would be cool to do a post on other users’ kits. Thanks for commenting! This is good information for all of the pano photographers who bash RRS for not offering click stops. Products from different manufacturers can be combined to give them what they want and need. I have been doing this for years with much success. There are some pictures of my multi-row RRS/NN combination here: http://www.stevedanielsphoto.com/panoramic.htm. Thanks for the explanation and pics. This is precisely the information I needed. Well done! Thanks, I’m glad the info was of use to you. thoughts and for your post! Yep, you got it. Super convenient. I just pop off the RD16/PCL-1/QR Plate/Nodal Rail “unit” and can put the camera/L-Plate right into the clamp on the ballhead. The “unit” and the rail go into the camera bag and I can do other types of photography. Or, I can put the Nodal Slider/L-Plate/Camera into the ballhead clamp and use the Nodal Rail like a macro slider, or just to slide the camera forward/rearward to change the perspective. I really like the set up. You don’t want to take the ballhead on and off—it isn’t really designed for that, and it is a hassle compared to just popping the gear in and out with QR plates. I’m glad I could be of help! If I haven’t answered anything or you need clarification, just let me know. on your ballhead and use like a “regular” tripod setup, correct? all together if all I had to do was switch the camera plates). advantage of the moment to pick your brain. Hi Jon – Your article inspired me to make my own RRS/Nodal Ninja Lego creation. The PCL-1 is on the bottom, but the concept and versatility is similar. Just wanted to say thanks! I’m looking for a good solution with great quality but also not having to spend anything more than what is necessary. I love where you went with this, thinking outside of the box and using items from both brands. 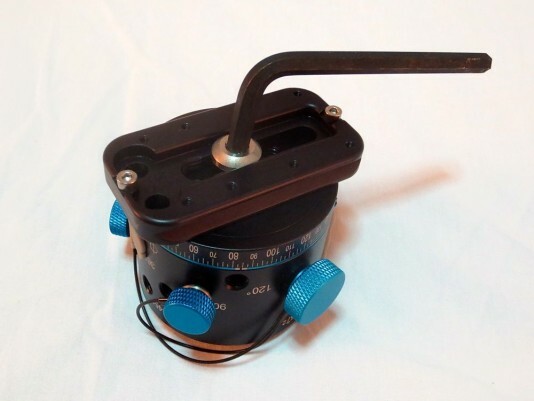 I have the BH-40 which I love but with my new tripod it is too big so I will be parting with that and I have seemed to have lost my RRS PLC-1(Hoping it shows up). After seeing this, I was thinking about doing the same thing but using an Arca Swiss adapter at the bottom of the rotator and using an Arca Swiss clamp on top of the rotator to cut down on cost and on weight. If that will work, I would probably sell the PLC-1 because of the extra weight it would add. I have been very happy with all of my RRS gear and before today I never heard of Nodal Ninja but they seem to have a great reputation as well. Thanks for the comment. I personally like having the PCL-1 in the mix, but it is by no means absolutely necessary. That’s sounds like it will work, having a QR plate on the bottom of the rotator and a clamp on the top for your pano rail. Send me a picture when you get it done, I’d like to see it! I am new to Panorama Photography and therefore need your inputs. What type of panoramas do you want to shoot? Flat panoramas for print, like it do? Or do you want to shoot 360×360 spherical panoramas for the web? I very much like my set up above, as I can go from shooting “normal” photos to shooting panoramas very rapidly. Let me know, and I’ll try to help. Thank you for a very detailed and informative post. 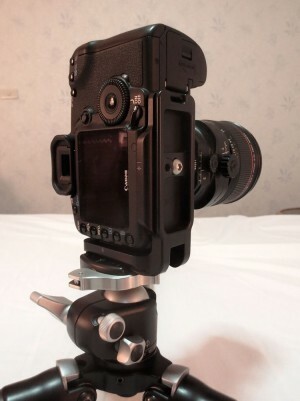 Really like the step by step setup with picture, so anyone want to emulate similar setup will not miss a beat. I’ve a question, looks like RRS has stopped PCL-1 from their catalog 🙂 May be due to people trying the hybrid approach. 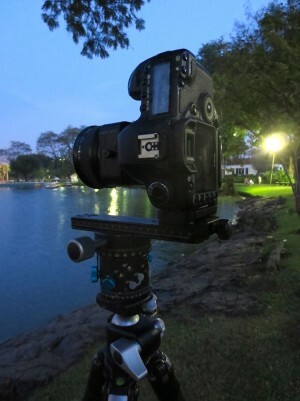 Great video – what RRS tripod are u using? I have a TVC-34L. I love it! Thanks! 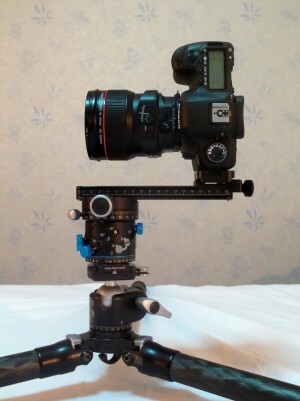 Is it possible to do 360 panos with this setup and if not, what else would I need? Thanks! Great step by step tutorial! Hi! 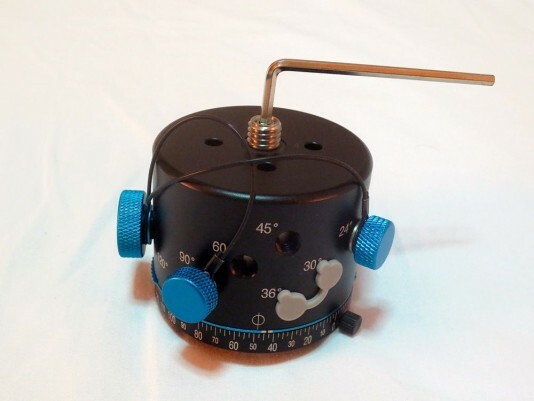 I recently got a full set up of NN4 (for cheaps), including the thumbscrew leveler, I might have to pirate your set up with the exception of the RRS clamp (I already got a desmond dac60). 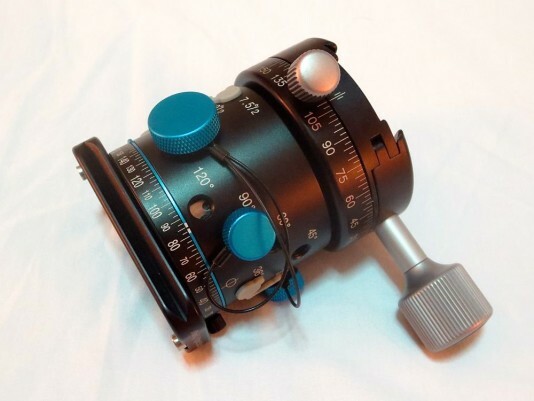 Is it better to just remove the ballhead and use the ez leveler instead? I like the ballhead because it is fast and if the tripod isn’t set up optimally (Say, because you are trying to catch morning light and are in a hurry), you can’t get things going quickly. But, with the leveler you are able to fine tune more easily, but it is usually slower. Trade offs as usual! 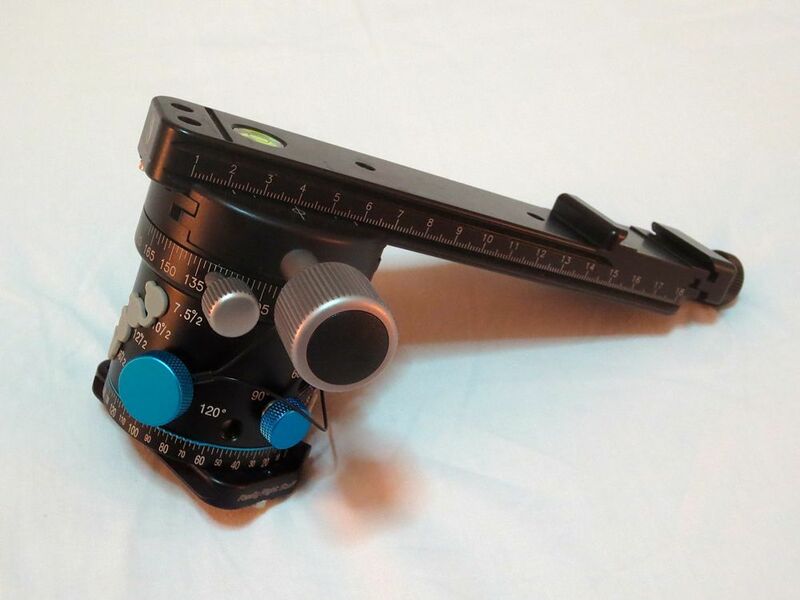 My ez leveler and NN4 just arrived, and I noticed that the leveler has a limited range on leveling, however my plan is to get a discal clamp and attach it to the leveler just in case I would need the ballhead. I got no issue with the speed on leveling since it’s easy for me (the struggle with my nn3 was real). I’m just confused on how big the discal clamps should be. Yes, the leveler has finer adjustments, but not the range. 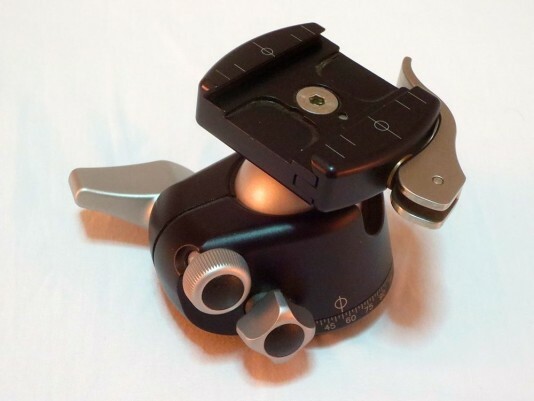 What diameter of discal clamp would you recommend? 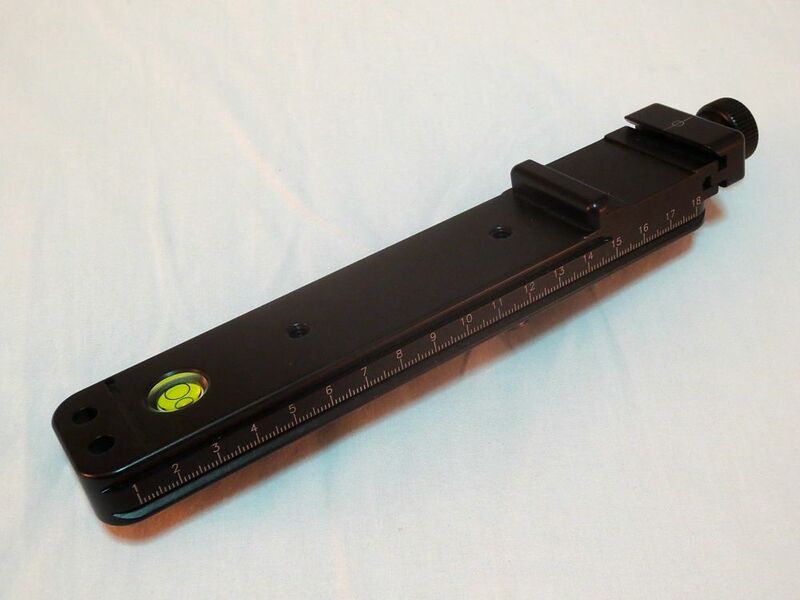 I saw you had a panning clamp from RRS but I can’t find it in their site anymore I was gonna look up the specs for it so I can get an exact fit for the leveler. I don’t like Sunwayfoto’s gear as they just ripped off RRS. That might work—I’d have to see the set up. It really comes down to what you want to do with the rig. I just wanted to do single-row panos, but you might want to do multi-row. Where do I send the photo? I made a “franken”-rig (since my RRS L bracket and clamps haven’t arrived yet). 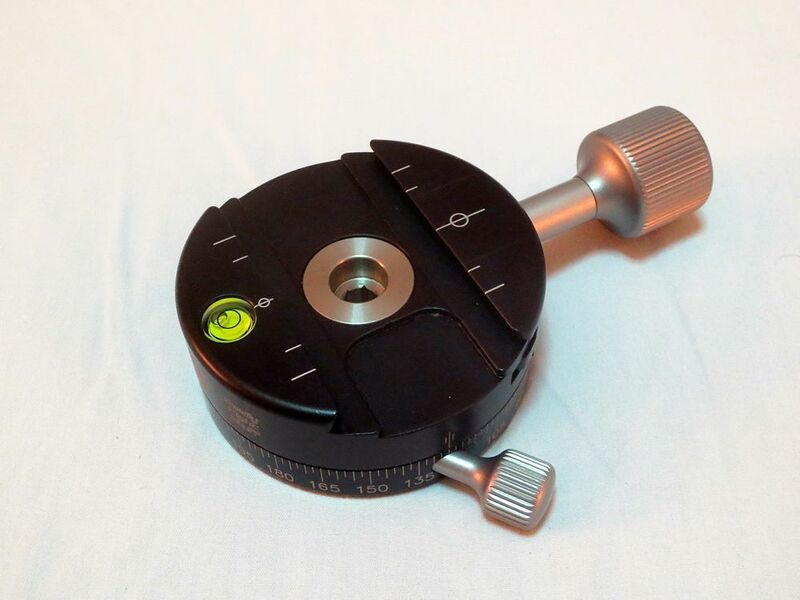 It consists of a discal clamp attached to the tripod legs in which I can attach the fanotec ez leveler with the RD-16 on it or the stock ballhead with another discal clamp (for extreme leveling condition) and another arca clamp on the arm of the nn4 to attach the camera with the bracket. You can post it to Flickr or any of the image posting sites. Very nice setup and work! Thnks for sharing. I was looking for solutions on how to do multirow panoramas with a tilt shift lense so the final image is taller, closer to 16:9 aspect ratio. Does your setup allow for the rig to be used to do the first row of shots, then shifting the lense up/down once or twice to get the second and third rows? I’ve never actually tried the method you mention, but I really don’t see why you wouldn’t be able. I calculated the number of images so I could shoot an image in 1:1, 16:9, 2.35:1, etc., but that was still only using single row. One of the real benefits of the T/S lenses is that you don’t have to have the horizon at the center of the image, but then again, that’s only for single row. Let me know how you get on! I like how compact your system is, well suited for travel. I may give it a shot and try a similar setup!